We started day two of the UITAL Lifestyle Experience early. Why? We had a day trip planned to Champagne-Ardenne, France, a two-hour journey by coach bus. This region is the home of champagne, the beverage. Visiting Champagne was the highlight for me of the trip, besides meeting and hanging with new travel friends. As a wine lover, champagne is a natural extension. It is wine, after all, made in a distinct way. The Champagne-Ardenne region in France is large and can’t be covered in one day so we chose Reims and Epernay as our curiosity starting point. I have had the dreamed of visiting champagne for years. I wanted to see history, view the vines, and soak it all in. Most people don’t know if it’s not made in the Champagne region of France it cannot be called champagne. It’s sparkling wine, cava, and prosecco. 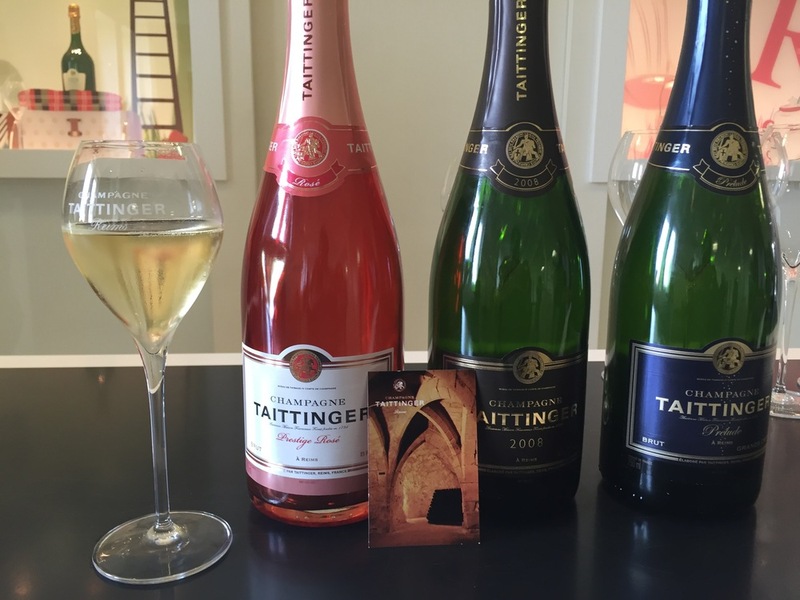 We left Paris super early on Saturday morning to make it to Reims for our appointment at Taittinger, a tour of their cellars, and a tasting. Travel is also learning and there was so much to learn. As a wine girl, it was great to see the cellars, to be among the bottles that aren’t ready to drink, and really learn the process of how champagne became champagne. I know some of it, but to be able to hear the history in Champagne was not lost on me. After Taittinger, we headed to see the Reims cathedral, which is similar in its gothic style to Notre Dame before we headed to the cutest champagne bar for lunch. In Champagne, the large champagne houses are evident with the size of their buildings and cellars. I also enjoy small grower champagnes. I like to call them the underdogs of the champagne world. Our guide recommended we have lunch at C. Comme before we headed to our final tasting at Moët. We were definitely in for a treat. The champagne tasting consisted of six champagnes – four whites and two rosés. Of course, when I’m in France, I have to have foie gras almost every day and a few of us paired the champagne with the foie gras, caviar, and an insanely super-sized cheese try. C. Comme is one of those places I want to sit for hours lingering over the champagne list, enjoying conversation, and wondering how to transport all the champagne back to my home. In my mind, I’m coming back next year and bringing my love with me. C. Comme has a shop in the basement to sit, sip, and pick your own champagne. Our last tasting was scheduled for Moët & Chandon, another famous champagne houses in the world. Moët is also home to Dom Pérignon, the famous French Benedictine monk who helped put champagne on the map. The Moët cellars contain over three million bottles of wine. Yes, rap that around your brain. On my bucket list is to have a formal sit-down dinner in the caves. I’m going to make this happen. Our last stop was the village of Hautvillers, to see where the famous monk is buried in a church and to view the vines that make grand cru champagne. Champagne can be delicious with great flavor profiles and pair well with food or it can be cloying as a bad perfume. The key is to sip as much as you can and your palate will develop and change. It’s the best way to discover what you actually like. Champagne-like wine can be intimidating the way it’s presented to many people. Although we didn’t have a long leisurely lunch like I would have loved, I enjoyed my time in Champagne and my curious nature enjoyed experiencing this with others who were just as curios as me. I realize I am a blessed woman and I don’t take any of it for granted. Cheers to good times with great people and a perfect UITAL Lifestyle Experience. Thank you Tanisha for helping to arrange a wonderful visit. Which bottle should I pick?